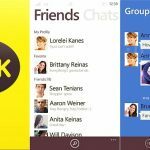 Why choose KAKAO TALK as your favorite messaging App? People don’t know if their smartphone is Android, BB, iOS or Windows Phone. No worries! We’ll give you a Kakaotalk link for your Particular Smartphone’s Brand. 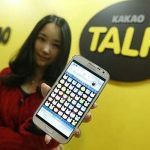 Since it was developed KAKAO talk has grown and currently it is one of the most popular messaging in the industry. The app has been downloaded by over 100 million people. KAKAOtalk can be used on both computers and smartphones. Its additional features are probably what facilitated its growth even while some of its competitors like WhatsApp were still more popular. Through this app you can chat or text for free. You can use it to make calls and you can talk with up to five friends at the same time. Just like in other messaging apps you can still send multimedia messages. For those of you who are funs of Talking Tom and Talking Ben voice animators, KAKAO talk has a feature that allows you and your chatting buddies to use them. In KAKAOtalk you can use your own images to create themes. Most of the features I have mentioned above are mostly used for fun activities but they are those features that make KAKAO talk an effective business tool. Through KAKAO talk you can send attachments for example documents. Through this app documents are received much faster compared to when an email is used. This means that it is more efficient. Apart from being a business tool, APP can be used as a map. The map has the ability to tell you where you are and show you your destination if you are travelling. Such features are the ones that give KAKAO talk an advantage over its rival WhatsApp. 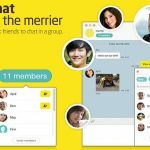 KAKAO talk developers, a few weeks ago, announced that they would introduce a new feature that will enable its users chat without worrying about there being a record of those chats. With this feature KAKAO talk user will be able to chat free about almost everything without the worry that someone else will see their chats. We as human being like our privacy, therefore this new feature will serve to make it even more popular. Apart from this feature, there will be more additional features. As I conclude I will talk about how KAKAO-talk makes money. Unlike in WhatsApp in KAKAO talk you can follow you favourite brands for updates and special deals. Also they have a gift shop where you can get gifts to give to your friends. This app is good and since it was launched it has helped so many of its users interact more easily and made their social life more interesting.